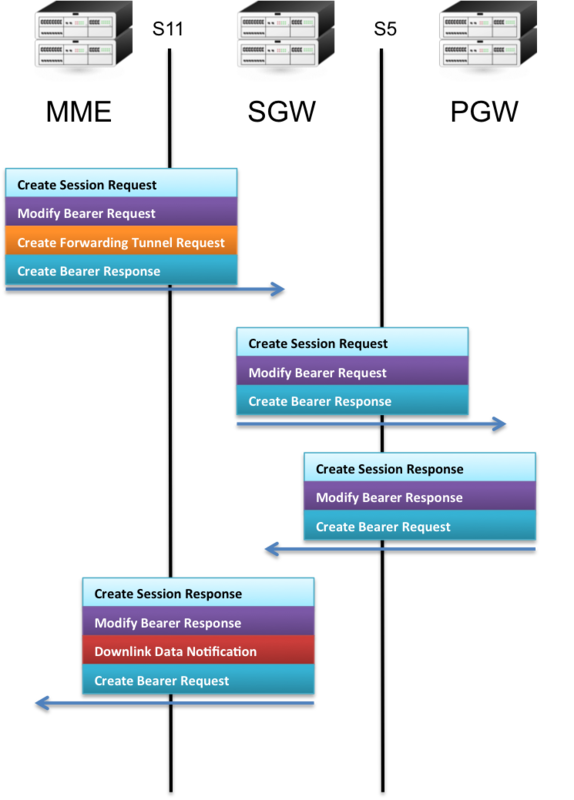 GPRS Tunneling protocol is an important IP/UDP based protocol used in GSM, UMTS and LTE core networks. It is used to encapsulate user data when passing through core network and also carries bearer specific signalling traffic between various core network entities. This protocol has several advantages which will be discussed later. 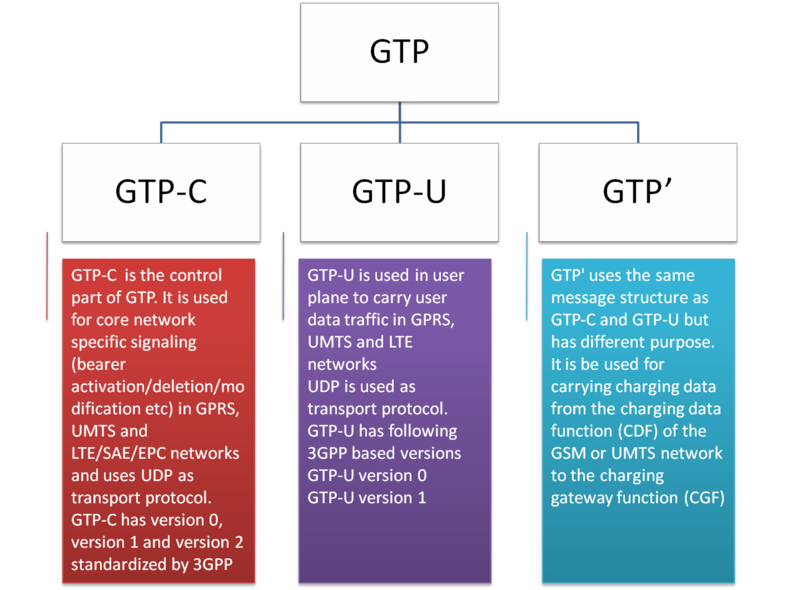 Why is GTP used in LTE? GTP-U encapsulation of UE user plane traffic can be easily understood by taking any simple example. Lets see what happens when IP packet generated by UE reaches to eNodeB and is then forwarded to SGW. 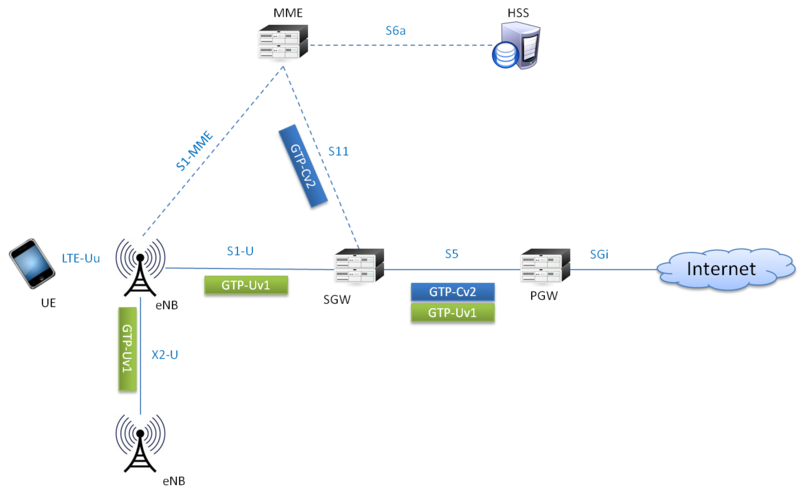 Please check Table 6.1-1(3GPP TS 29.274) for more detailed list of GTP-C based messages. here it means there is no required of Acknowledge/reliable for data transmissions in between enode-B and SGW. Please give me the reply. Is packet drops acceptable on GTPU layer? If yes, what will be end user experience? Hi. Can you explain in more details, what the advantage of GTP are. I am not understanding the mobility provided by GTP. What would be the issue if we are not using GTP? What happens if the IP changes as we move around? What does it mean by "main IP remains hidden"? Thanks for great info. BTW, here’s a free IMEI lookup tool as community service to validate gsm phones. To find best quality wireless router and wireless camera we must check some best product reviews to find best wireless camera or router. any one can clarify me. In SGW or MME will use same TEID for all GTP transaction in a particulate call or it will create the separate TEID for each and every transaction. 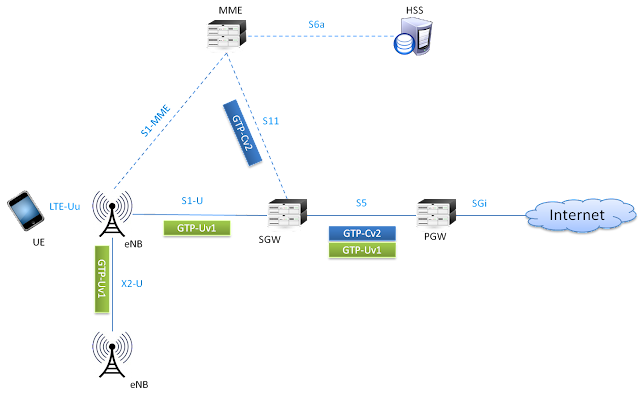 Why GTP v2 used for Control Plane and GTP v1 used for User Plane. Why cant we use v2 for User Plane in LTE?